For the first time in 16 years, sales of California wine were down in 2009. It would be easy to assume the economic downturn was to blame, but sales of wine across the US were up 2.1%. On the other hand, sales of wines produced in California were down 4%. There have been similar trends in liquor sales across the US, with bargain brands up and luxury brands down in sales. The furloughed and unemployed masses are reaching for a different kind of stimulus package, and a cheaper one at that. In California, many wines at the high end suffered losses while bargain brands and cheap imports soared. Americans are drinking more wine, just not more of their own. In wine shops all over the world, the rally cry is “bargain, Bargain, BARGAIN”! Consumers are demanding more for less and getting it. It could be argued that many California wineries have backed themselves into a corner, enjoying year after year of success selling the kingly-wines of Napa Valley and elsewhere for kingly-prices. February’s Wine Spectator offered their annual overview of wine pricing. The average price of a California Cabernet sampled in 2009 out of some 585 was $119.00, even though 66% of those wines scored 89 points or less (just over a quarter scored 84 points or less) on the Wine Spectator 100 point scale. The market is adjusting itself as other industries like housing have. Personally, I would say: serves them right. There is, however, more at play than a reality check on California pricing. While small to mid sized family-owned operations, like most California wineries are, have struggled to keep up revenue in a falling market, many of the largest names in California Wine have done quite well. These giants of wine include names such as E. & J. Gallo, Bronco Wine Company, Constellation Brands, and The Wine Group. While you might not be overly familiar with each of these names, you would know the brands they own. In some cases, these corporate operations, which produce many of the bargain based brands common to super markets, include dozens of brands including wine, beer, and other spirits. The result? The ability to quickly import (or cultivate) mass amounts of bulk wine from all over the world which can be bottled cheaply and mass marketed with the aid of huge marketing budgets. After all, the American consumer is demanding such bargain. So, what’s wrong with providing cheap decent quality wine to a large consumer base? Well, nothing per se. The American economy has been built on companies that can operate faster and cheaper. While I do not buy into the thinking that more expensive wine always equals better wine, bulk almost never does. For the wine lover, the person that sees wine as an expression of love and dedication, an expression of place and time, these recent trends should be alarming. With more wineries entering the market every year, and more Corporations doing the same, clashes between the two groups are inevitable. Santa Barbara Winery has operated in Santa Barbara, of course, since 1962, Founded by Pierre Lafond, it is the oldest winery in the county. The family owns and operates two wineries; Santa Barbara Winery focusing on value based Rhone varietals, and Lafond Winery, which operates out of the prestigious Santa Rita Hills. Santa Barbara Winery has its tasting room and winery based in downtown Santa Barbara, not far from Kalyra, Oreana, Carr Winery, and others. Recently however, the winery has felt that the name they’ve spent almost fifty years building has been threatened. With Santa Barbara County producing some of the highest scoring Pinot Noirs, Syrah, and other varietals, the potential for profit remains tremendous. Like many other entrepreneurs, the corporate world has also taken notice. Recently, a new brand has emerged on the Central Coast. 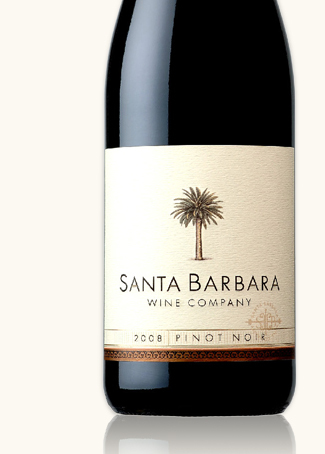 Santa Barbara Wine Company officially launches this month with a vintage of Pinot Noir and Chardonnay. For obvious reasons, Santa Barbara Winery has been deeply concerned about the potential for confusion in the market place, given how similar the two names are. “We are deeply disappointed and upset that Foster’s is attempting to create a label so similar to ours using the Santa Barbara name” Joanie Hudson, Director of National and International Marketing for Santa Barbara Winery told me via email. Some have suggested the added marketing of the name ‘Santa Barbara” could be a windfall for Santa Barbara Winery, But Joanie doesn’t agree. “Confusion in the market-place is never a good thing and in the market-place David does not slay Goliath, just the opposite.” There is also concern that although the grapes are to be sourced from Santa Barbara County, the wines are to be produced outside the County in Paso Robles, a fact confirmed to me by a company spokesperson. I have heard some rumblings that Santa Barbara Wine Company is taking steps to gain full and restricted use of the name Santa Barbara on wine labels. But my area of greatest concern comes from their marketing approach. I contacted the Festival last week regarding the concern of using such a similarly named wine company to Santa Barbara Winery and received prompt response to contact them (gulp). I spoke to a senior member of the Festival and I am glad I made the call. In reality, the arts have been incredibly hard hit by the recession and film festivals all over the country are scaling way back. The offer of sponsorship by Santa Barbara Wine Company helped ensure that the event would be able to continue in its historic 25th year. From a business perspective, I can understand the choice. For their part, Santa Barbara Wine Company is thrilled to be supporting the Festival. “The Santa Barbara Film Festival is a world-class event that draws attendees from around the world” Carrie Reed, PR representative for Santa Barbara Wine Company told me in an email earlier this week. “The festival gives us the opportunity to sample our wines to thousands of wine lovers…creates considerable media impressions, allows us to work with local restaurants and retailers and more importantly, celebrates some of the finest artists in the world of cinema. We’re proud to be a sponsor.” Carrie added. I asked Carrie about the concern some local wine enthusiast share with Santa Barbara Winery, that the two names will be confusing to consumers and retailers alike, even unfair. “We are not concerned about confusion with Santa Barbara Winery as our labels look very different and as with many geographic places/locations (such as Napa, Rutherford, and Stag’s Leap) there are already numerous iterations of the words “Santa Barbara” included in wine brands. For example: Santa Barbara Crossing, Santa Barbara Landing and Domaine Santa Barbara.” You can compare the labels for both brands and decide for yourself. And what of their plot to control the name Santa Barbara on all wine labels? According to Carrie there is no such effort to corner the Santa Barbara name. To be honest, I have been much conflicted about this article. At first, I thought it would be like an episode of Dateline NBC. I would be Chris Hansen, and the Foster’s Group would be the villain out to besmirch Santa Barbara’s fair name. I would be bold and fearless, asking the tough questions of the Corporate bad guys, slaying them with the strokes of my key pad and the hilarity of my jokes. Soon, I would be savior of local wine and King of Australia, assuming they still use a Monarchy (Wikipedia didn’t say). But to be fully honest with you, I talk to people and I think, “well gee…they seem pretty nice”, then I feel guilty saying bad things about them. So, what I thought of doing instead is staging this as a fight…one in my head. OK, so humor won’t solve it, but it helps soften the pain. Plus, it’s fun to imagine in my head. I really did struggle writing this, not wanting to make anyone look bad. After all, we are talking about real people’s livelihoods here; it isn’t a joke to them. It is also easy to paint a Corporation as “the bad guy”; people make a living doing that. I am not writing “Foster’s and Me” here. However, it was pointed out by a friend in Portland, (that due to the local climate and his depressed basset hounds, has little more to do than concern himself with these things) that I am just one little guy, with a tiny wine blog six people read. I will be honest with you, I read my own blog from four different computers just to boost readership. The other two people are a couple of drifters I met at the local Y (Hey Chuck and Karl!). Foster’s Group on the other hand, has PR Managers to help distribute their message and the funds to use large-scale media. 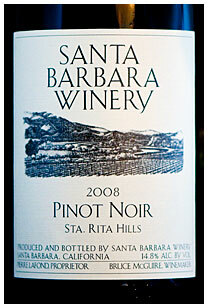 They also had to have known Santa Barbara Winery has been producing wines from Santa Barbara for nearly fifty-years. So in the end, I decided to share my feelings on the topic with you fine readers…Chuck…Karl…and myself, four times. It would not be fair to automatically paint the Corporate backed company as the villain by default. A Corporation has a right to compete in any market they wish, if they compete fairly. Do I think a large conglomerate Corporation with the ability to out-market and out-price local competitors is fair? Maybe…we live in a capitalist market. But, do I think it is fair to present it as a local brand? No, I do not. With Chardonnay priced in the mid-teens and Pinot Noir around twenty dollars, all vineyard specific, the new brand is almost certain to create interest in consumers who know the Santa Barbara name, especially in markets outside the Central Coast. If I buy Dasani water, I can’t really confuse it with a local brand, if there is such a thing. Why? Because if I turn the bottle around, it states it is produced and bottled by Coca-Cola Company. Wine isn’t like that, not yet anyway. A company can present itself as it wishes, as long as it doesn’t lie about what’s in the bottle. For example, Bronco Wines, the company behind Trader Joe’s Two-buck Chuck as well as the earlier mentioned Santa Barbara Landing, recently lost the fight to use the Napa name on wines that aren’t primarily sourced from the region. I am not claiming this is what Santa Barbara Wine Company is doing; I do believe they value the potential of Santa Barbara County and the vineyards they own here. According to Carrie Reed, Foster’s Group has in fact been producing wine and farming vineyards in Santa Barbara for over twenty years, a fact they take pride in. “We have beautiful vineyards in Santa Barbara County that we are very proud of and love very much”, she told me. I believe that they see the specialness of the region…how could you not? What will the future hold for the two wineries? Time of course will tell. The bell has not rung on the final round. I worry trends in the American consumer could lead us down a path not so different from the soft drink industry, with mergers and takeovers confusing what were once family operations handed down from generation to generation. Look no further than the Mondavi dynasty for a fantastic example. In my heart, I know there will always be those dedicated producers, whether Corporate or Independent, and consumers looking for the perfect expression of the vine. My hope is that those with such passion will continue to thrive despite the increasing power of the Corporate world. Santa Barbara Winery is taking steps to fight for the protection of the brand they have spent nearly two of my lifetimes building. There is something special about Central Coast winemakers, a quality that set California winemakers apart in the first place. They are a genuine community. As I have worked on A Long Pour over the past few months, I have found the winemakers of our area to be incredibly approachable, generous, and eager to share their passion with others. Some have invited me to both their public and private vineyards and even their homes. While I feel strongly about our local wines and supporting them, I have no ill will towards anyone (in fact, everyone involved in this story has been incredibly gracious and helpful). At the end of the day, the wine must speak for itself…and it will. Now I am off to read this on three more computers. Santa Barbara Winery is open daily for tasting from 10am to 5pm. I had no idea that Pierre Lafond founded Santa Barbara Winery or that it was one of the oldest wineries in the county! It makes my experiences there over the years that much more fulfilling and meaningful! It’s like I’m drinking and enjoying history. I think SB wine country is some of the best wine tasting you can experience. Summer time calls for a bike ride through the orchards or a stroll downtown and a good glass of wine. That is what I’m really looking forward to this upcoming year. Cannot wait!